Menu Box Case A3 Size This A3 menu case box for external or internal use is Available in portrait or landscape. 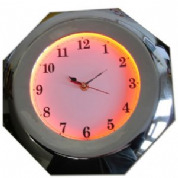 Aluminium with a polyester powder coated finish. Menu Box Case A3 Size. 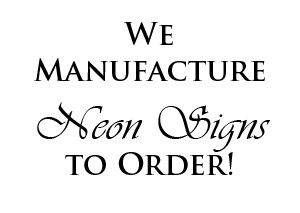 Illuminated logo header Menu Case From sizes A4,A3,A2,A1, and A0, landscape, portrait. 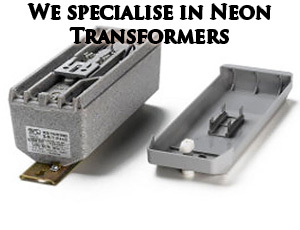 Bespoke sizes on request. 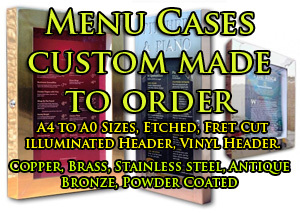 Our proffessional craftsmen hand finish each menu case to an incredible standard that surpasses any other. 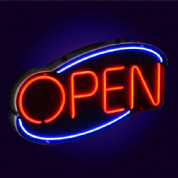 A write on illuminated Neon menu board that glows in the dark. 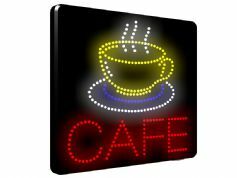 This menu board for every day use in restaurants, shops & bars to catch the eye of the shopper. A4 Menu Case is available in Polished stainless steel, brushed s/s, lacquered brass, black aluminium, silver aluminium. Menu case A4 size is the smallest option available. 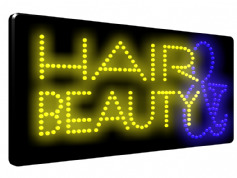 HAIR & BEAUTY LED SIGN - Blue & Yellow Super bright LED Window Wall Sign. 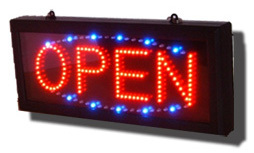 Excellent Visibility this LED Sign is Beaming Beautiful. 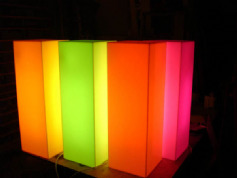 Open LED - Multi Coloured Border. 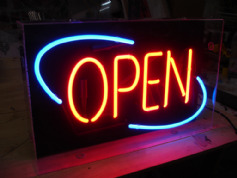 New to our range the Oval OPEN LED sign with multi coloured LED's. 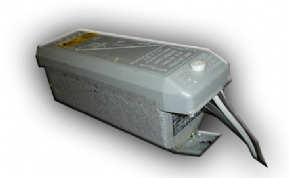 Option to have flashing or static. 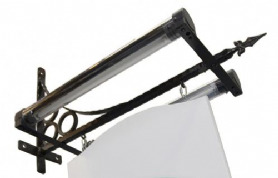 Traditional black iron wall bracket with down light trough to illuminate the swing sign panels. 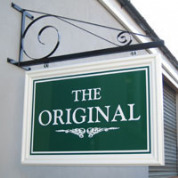 Supplied with choice of sign panel and vinyl graphics. 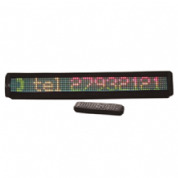 The perfect information and commercial media player TFT-LCD Advertising Display 17" is widely applied in halls, office buildings, airports, counters in department stores, supermarkets and other public areas. 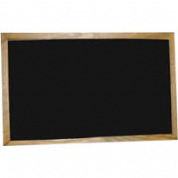 One of our Biggest Size Chalkboard! 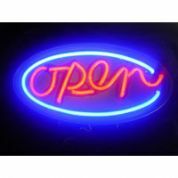 Excellent for pubs, wine bars & restaurants etc.. High quality writing surface which is suitable for liquid and ordinary chalks. 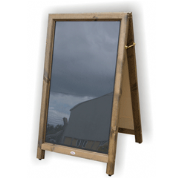 Available in two sizes : 1200mm x 1600mm and 1220mm x 2440mm. 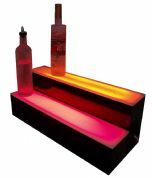 These illuminated menu case signs come wall mountable with internal fluorescent or led lighting making it illuminate down onto the menus below. 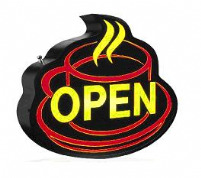 Excellent for restaurants advertising menu's and pictures of food. 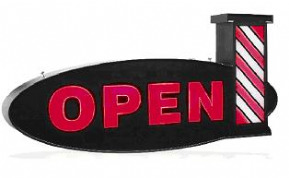 A large double sided projection iron bracket sign that accomodates a 900mm panel. Zinc plated and powder coated gloss black finish bracket. Black Advertising LCD Screen 32"
The perfect information and commercial black media player TFT-LCD Advertising Display 32" is widely applied in halls, office buildings, airports, counters in department stores, supermarkets and other public areas. 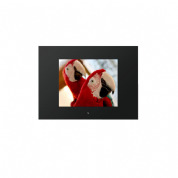 LCD Advertising Screen 17" Digital Media Display Manufacturer & Specialist. 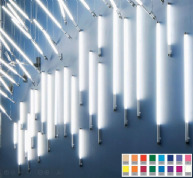 The fibre optic chandelier METEOR will illuminate beautiful colours in your Restaurant, Bar, Office, Lobby or even home. 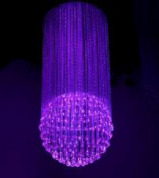 This fibre optic Chandelier is amazing giving an expensive colourful feel at a good price. 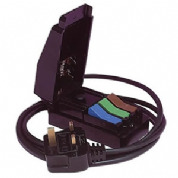 The best color changing LED strip light kit on the market. 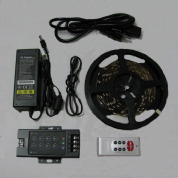 This kit includes the following items: 1 x DC12V 5Amp Power supply that can power up to 5 meters of Tri Chip RGB SMD 5050 Flexible LED strip (included). 1 x 8 key RGB LED RF remote control. 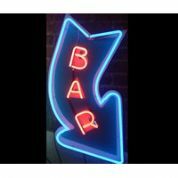 The alternative to neon, LED Neon Flex is made of a material stronger and more flexible than neon glass. 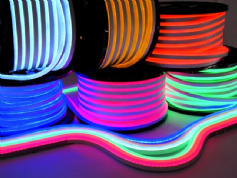 Neon Flex at £1366.00 for a 50metre roll. 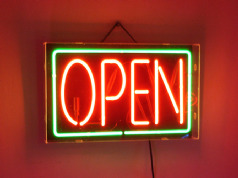 LondonGoods.co.uk is an internet based web shop catering for all your shop advertising, LED, Neon and lighting needs. 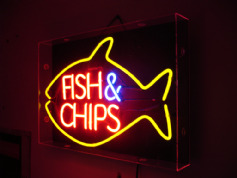 We have a wealth of experience covering all aspects of general signage incluiding Neon Signs, Cold Cathode Lighting, Neon Transformers, LED Signs and Menu Cases.